Fans of Bistro Du Vin’s classic French cuisine can look forward with great anticipation as Chef Laurent Brouard introduces several new offerings on the menu. 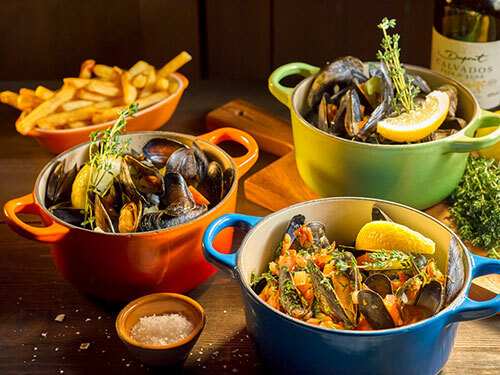 Tantalising treats include the Moules Bouchot Marinières, 10-day dry aged Normandy Beef striploin as well as a Fricassee of baby scallops, prawns and mussels. With the festive season approaching, Bistro Du Vin has created a few specials for dine-in and takeaway. Showcase the best of French cuisine at your festive parties with an array of charcuterie, French oysters and organic roasted poultry. Click here to enquire more about our festive corporate packages or make a booking with us this Christmas and New Year holidays!